Whether you’ve been looking for the perfect house plans for days or months, you’re likely exhausted from the search. Choosing the proper home plan is the first step toward building your new dream home. We’ve gathered our top-selling and most popular house plans below for your consideration! This way, you can narrow your search to only the greatest house plans available. All of these homes are ready to be built to last, to enjoy, and to love! Freely browse all of our most popular house plans HERE! 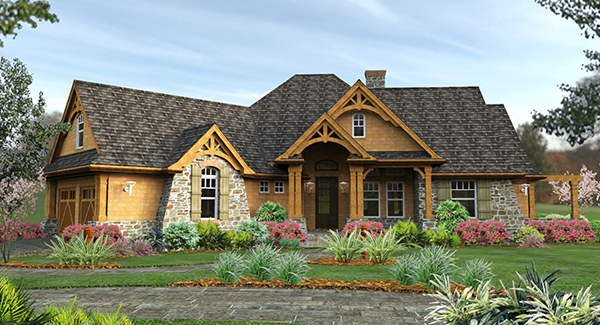 If a cozy cottage is your dream, then House Plan 5458 is perfect! The split bedrooms in this home give the master bedroom privacy. Ever square foot is taken advantage of in this three bedroom ranch! Included is a designated laundry room and storage is available in every available space. A spacious living room, with a fireplace and open kitchen/dining nearby, flow seamlessly together. Front and back porches invite you and your guests to relax and enjoy the view in this cozy southern-style ranch home plan. House Plan 2432 provides everything you need on a small scale. This one-story home boasts three bedrooms, with the master separated from the others for privacy. Because it is designed for family and entertaining, you’ll enjoy an open-concept kitchen, living, and dining room. The master bedroom has access to a private full bath with a double vanity, walk-in shower, and soaking tub. You’ll find an additional full bath easily accessed by the two secondary bedrooms. A powder room is also available for guests. A small mudroom connects the home and its two-car garage. There are several closets and built-in shelving units throughout the home for storage. Plus, the kitchen is enhanced by a large island for more storage, too! 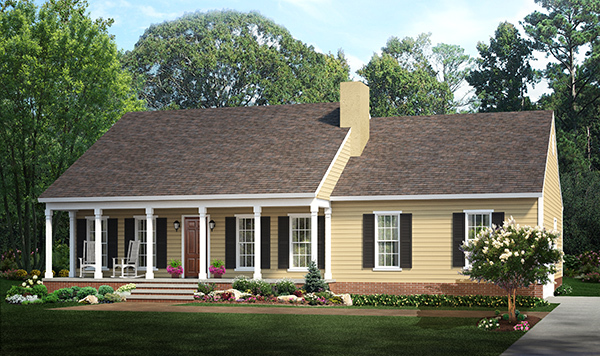 House Plan 7055 is a beautiful cottage-style home. Two-story ceilings in the main living space make a great impression as you walk into the entryway. This home includes a master bedroom with private bathroom on the main floor, and one on the second floor as well! Also included are two additional bedrooms upstairs and guest quarters above the detached two-car garage. This home would be perfect for multi-generational living, or anyone desiring to live a more luxurious lifestyle! You’ll definitely enjoy cooking and entertaining again with a chef’s kitchen and large butler’s pantry. And don’t forget to check out the awesome sun-room in back! House Plan 1895 is one of our most popular home plans. 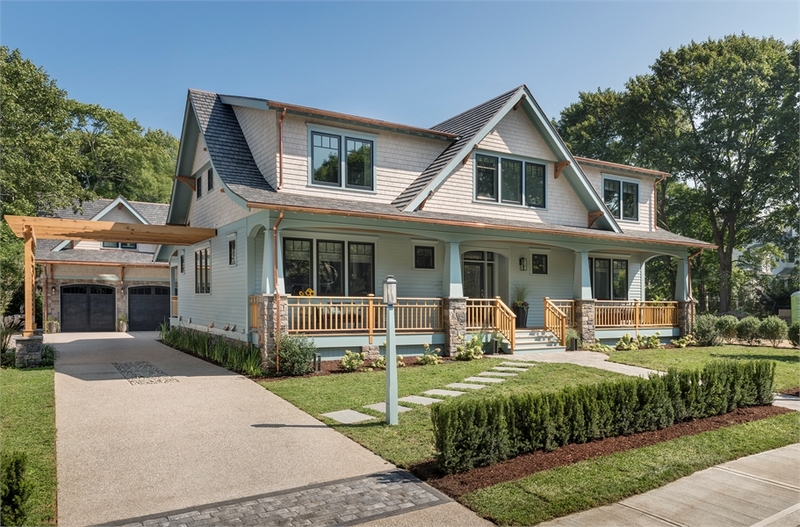 This mid-sized Craftsman has some of the best Craftsman architecture available. With split bedrooms and an open concept layout, it offers privacy for its three bedrooms. An additional flex space making it incredibly family-friendly. Generous outdoor living spaces, and a designated dining space. also allow for easy entertaining. The master suite includes an en-suite bath with double sinks, walk-in stand up shower, garden tub, and two walk-in closets. Never fight your spouse for space again! House plan 6454 is a gorgeous mid-sized contemporary home, and one our most popular new house plans for good reason! Stay organized and keep the mess out of your living space with this home’s incredible mudroom entrance. Our customers love the drive-under style garage because it adds boosted outdoor living spaces. 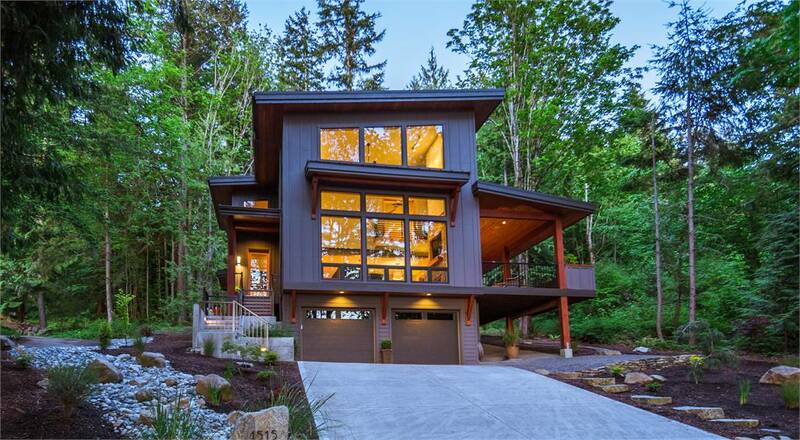 The main floor includes an open floor plan with stunning windows, perfect for a lot with a view! Also on the home’s main floor is a bedroom space, perfect for an office, child, or guest. The top floor is where this home shines! A master bedroom and en-suite create a luxurious haven, with double sinks, toilet closet, and a walk-in shower. There’s also an additional bedroom, perfect if you have young children. Empty-nesters, on the other hand, love to use this space as a den, library, or sitting area. 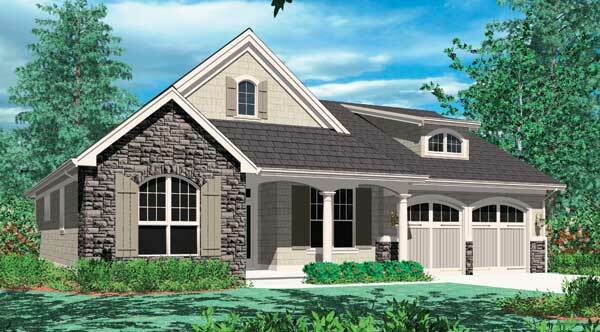 It’s fairly obvious why House Plan 2001 is one of our most popular house plans. 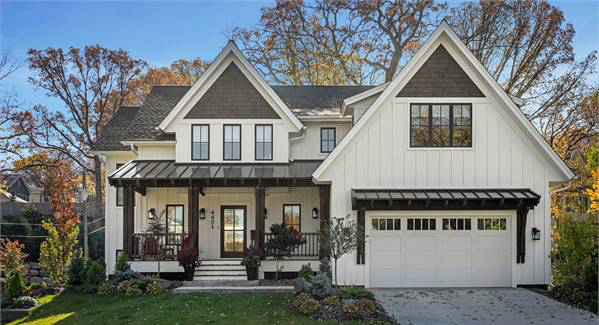 The beautiful front elevation allows this home to fit perfectly into any neighborhood. The mudroom and powder room are perfectly placed and are easily accessible as you enter the home. The main floor is open, but with a designated space for a large dining room table for entertaining. The gourmet kitchen includes an over-sized walk-in pantry that doubles as a prep kitchen. You’ll also enjoy a lovely sun-room just off of the dining and kitchen area. The second floor is where all three bedrooms are located, each with direct access to a full bathroom. The master includes a bright sitting area and elegant en-suite. This en-suite is outfitted with double vanities, garden tub, stand-up shower, and toilet closet. Enjoy a bedroom-sized seating area and office on the second floor as well! Enjoy browsing thousands of popular house plans from Direct from the Designers. Searching for a tiny home? View our collection of our most popular tiny homes!